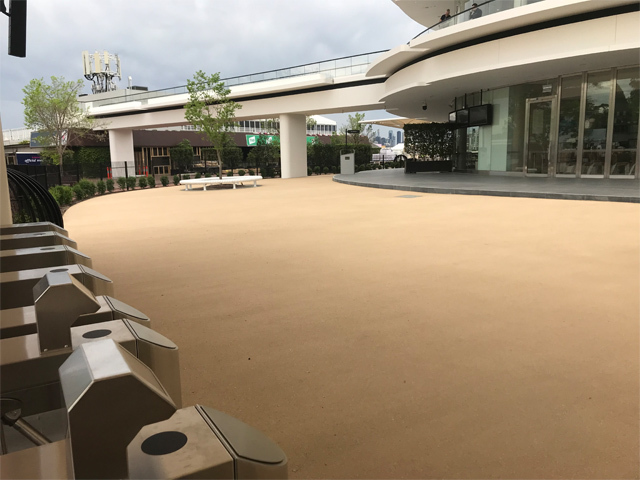 Streetbond textured surfacing has been utilised to beautify the area surrounding the new Members’ stand at Flemington Racecourse, creating a “sure bet” for a durable surface with real staying power. 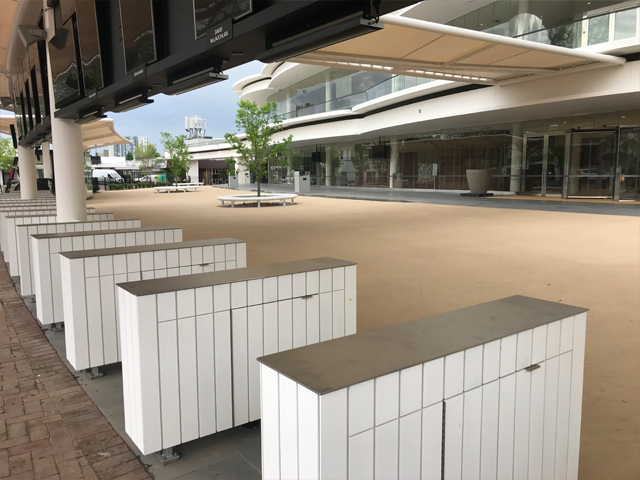 Replacing the old Members’ Grandstand, the new VRC Club Stand at Flemington Racecourse is a fantastic new feature of the renowned racecourse, securing Flemington’s reputation as a world-class sporting and entertainment venue. The Club Stand features everything from fine dining experiences through to cocktail bars and contemporary tapas menus. Members can enjoy unique viewing positions across the racecourse from the outdoor seating decks, which feature external undercover terraces across three levels. 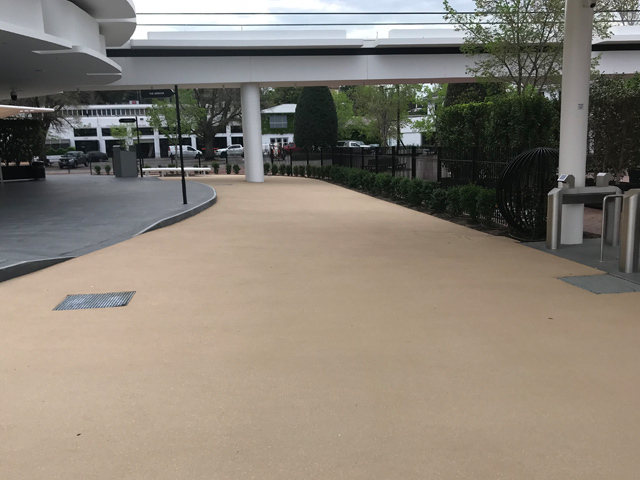 Upon entering the venue, members step onto the perimeter concourse circling the new Club Stand made up of an asphalt walkway finished with StreetBond premium coatings from MPS Paving Systems. 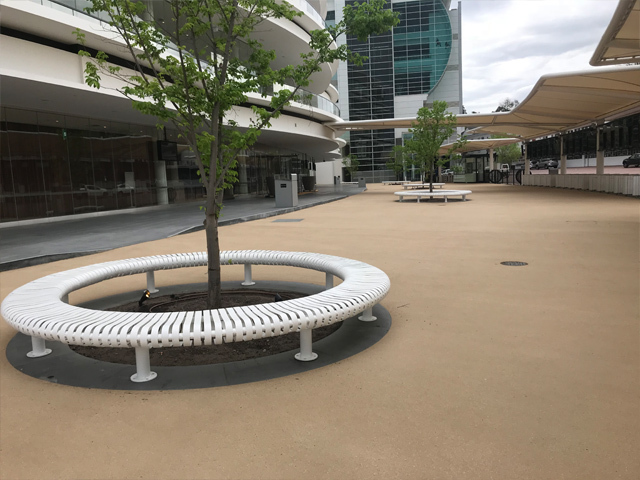 This durable surface area creates an attractive transition between the general public section and the member’s only area. 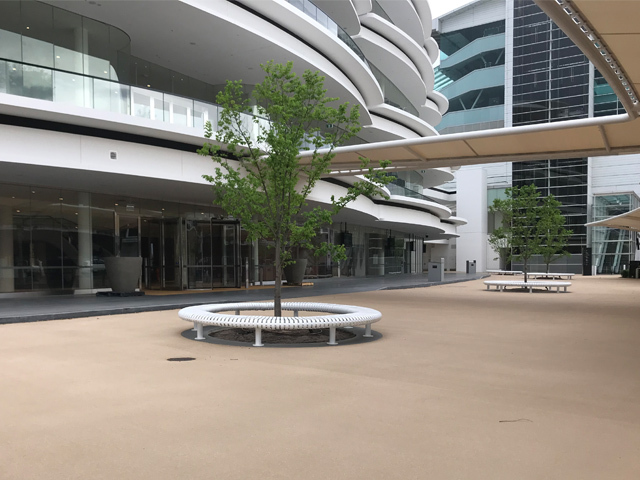 The Streetbond surface was applied in Sandy Beige, which features Khaki and Irish Cream flecks. 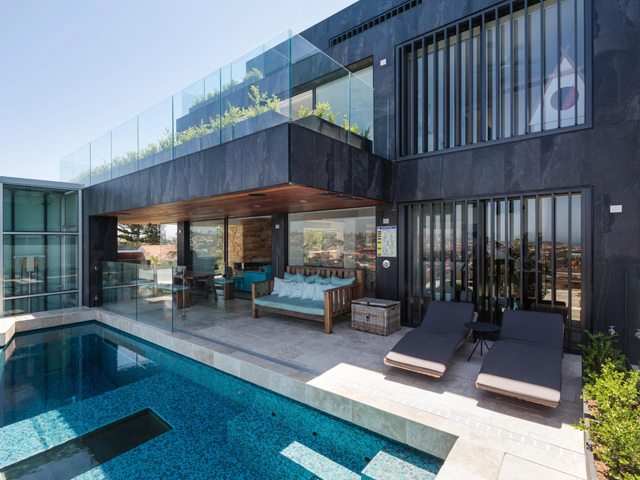 These subtle colours blend nicely together to produce a modern and stylish feel that ties in with the bluestone pavers surrounding this space. The attention to detail undertaken in construction of the revived area really enhances the exclusivity of the Members’ area, with premium Streetbond coatings adding the ideal finishing touch. 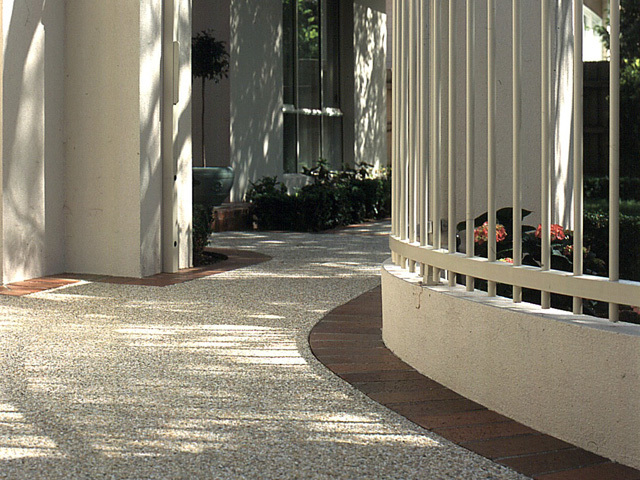 The StreetBond range from MPS Paving Systems effectively rejuvenates any surface to which it is applied. 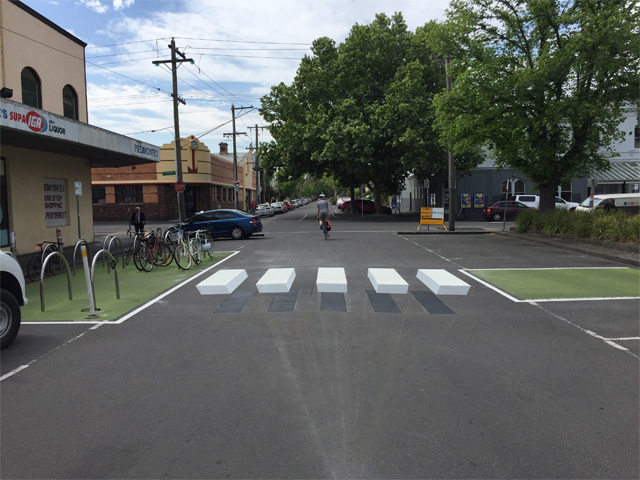 The colourful textured coating creates a unique and stylish feature of hard surfaces. 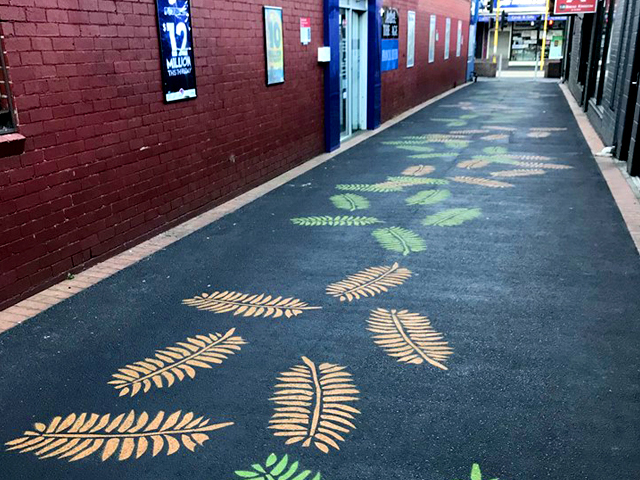 Who says paving has to be dull and boring, or old and tired? 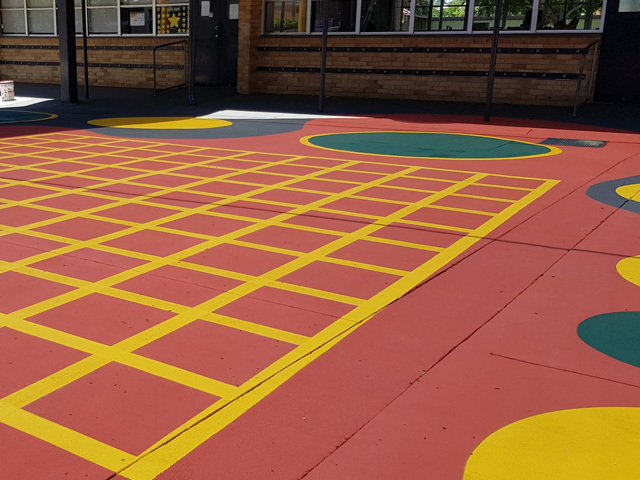 With MPS Paving’s range of internationally recognised paving paint, you can use your creativity to make the paving in your commercial building, business or home stand out. You can be as adventurous as you want to be! 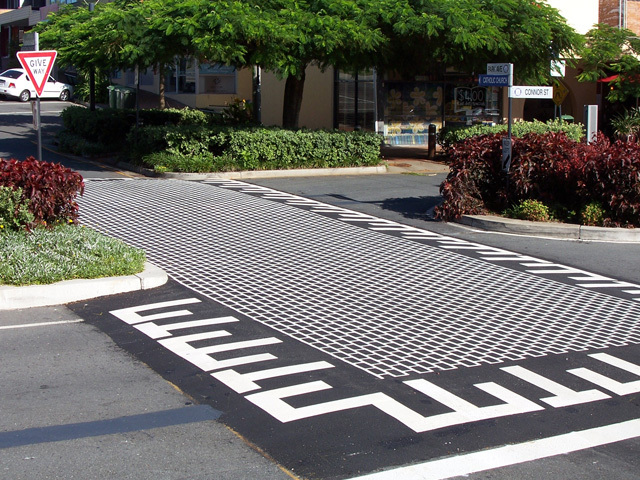 For more information on Streetbond products or any of the surfacing systems available from MPS Paving Systems visit their website or call 03 9707 0077.